Meesha tired from summer renos! Meesha the church cat is exhausted from all the renos. 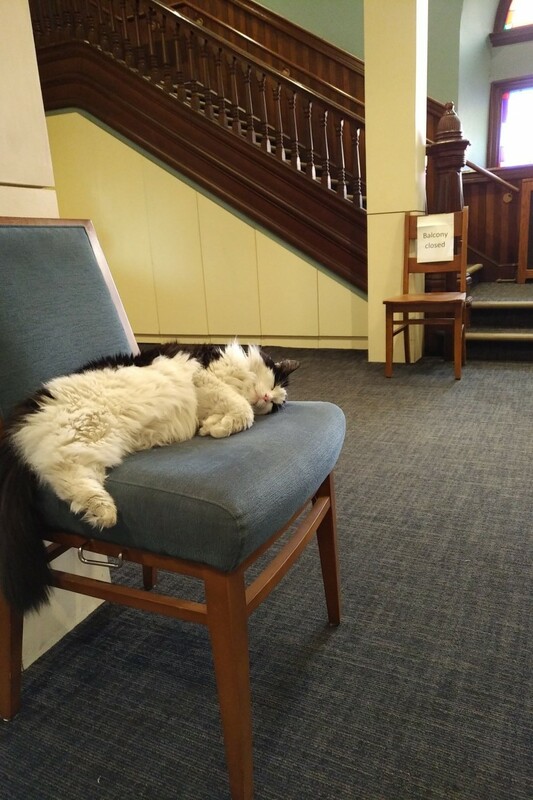 When you return in the fall there will be new bathrooms, a newly painted studio, new projectors and screens, repaired stained glass… no wonder the cat is tired! Sunday worship in July. 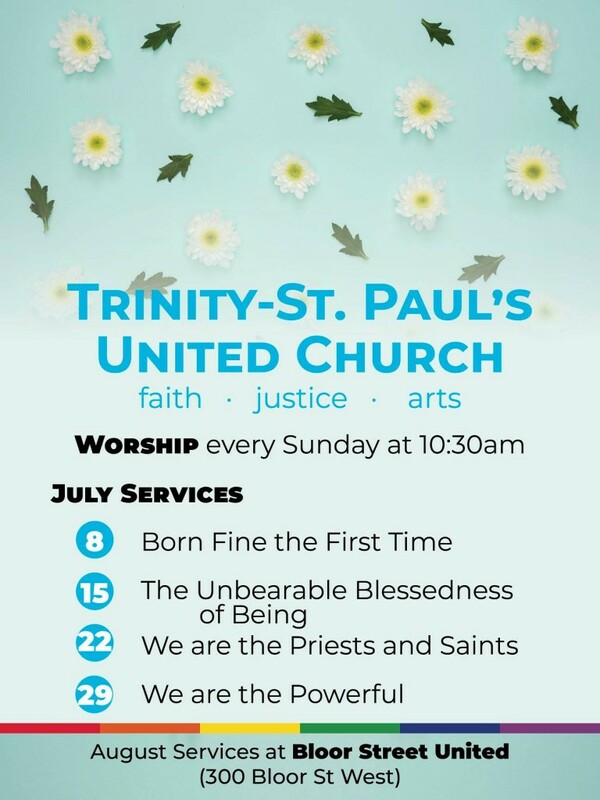 August services held at Bloor Street United (300 Bloor St West). 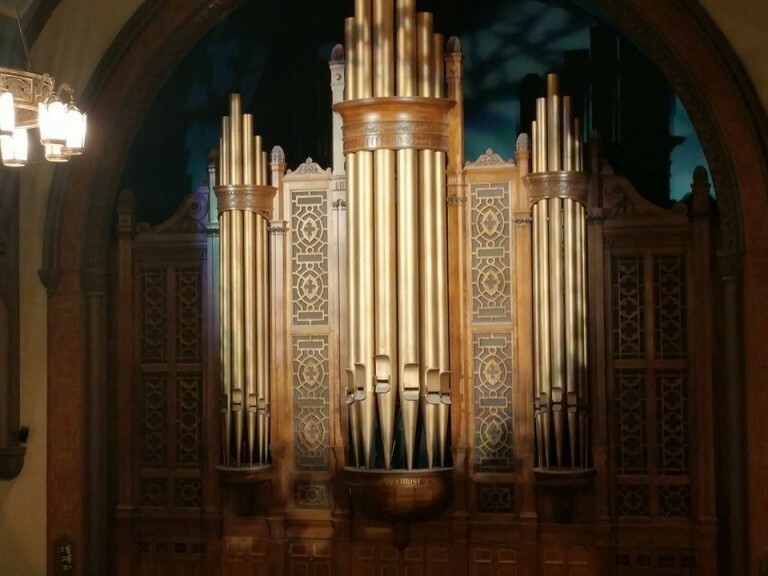 At Tafelmusik Baroque Orchestra and Chamber Choir. 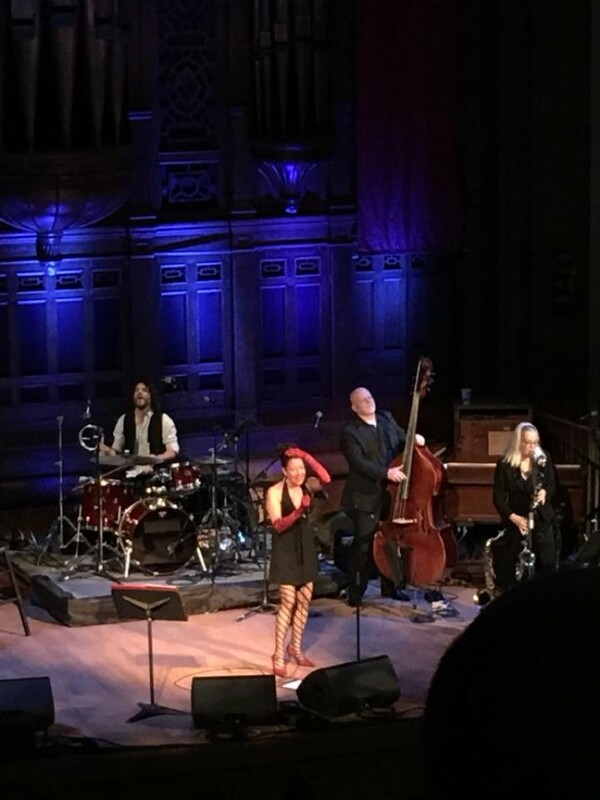 is an inclusive and affirming Christian community celebrating God's presence, seeking justice and peace, strengthening faith, and nourishing the creative spirit.